With only four Thursdays left in 2012 it's time part two of my five favorite photos taken by me in 2012. These aren't the blog's most popular photos (which you can see on the right side), but are the photos that I enjoyed taking, working on, and looking at the most. The order picked is random, so today's shot is not the least-favorite or the most favorite shot of 2012. When flying World War II planes come to town, you go see them. And see them I did in late June. I took a lot of photos, and it was hard to pick just one from my Wings of Freedom shots, but I felt this one worked out. This was a handheld five shot HDR. I'll admit that the HDR might be a little overdone, but I still like the overall look of the photo. I purposely left the flag looking like that in processing, giving the illusion of it fluttering. The blurry spots next the guys were my admittedly less than stellar attempt at removing a bunch of orange pylons that were in the foreground. East of Eden is probably my all time favorite book. And one of the few books I can re-read. Most times I try to re-read a book I get a quarter of the way in and call it quits. I try to read this every other year. 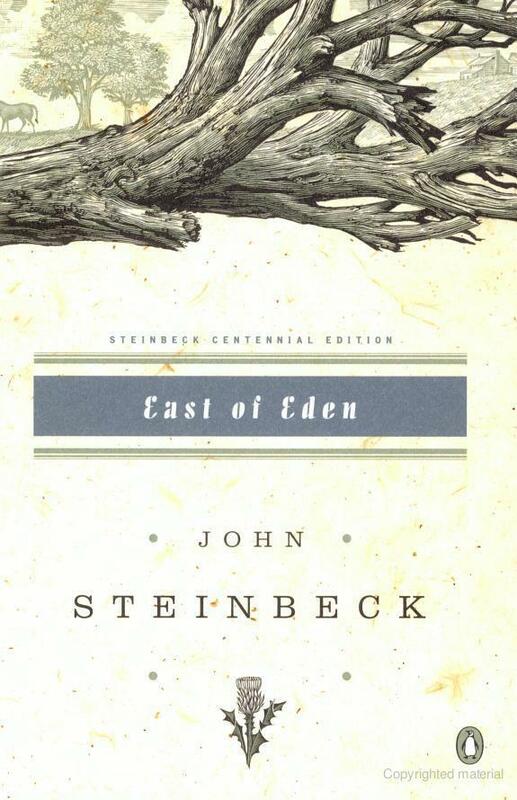 Having read a couple of Steinbeck's other works, I'd have to say this is by far my favorite. What I think is it's hook is the story, though told at the turn of the twentieth century, is a story that transcends the time period it is being told in. I highly recommend you taking the time to sit through this book.